Fire behavior is extreme with running, spotting and backing. The fire has consumed 22,000 acres of brush and short grass. 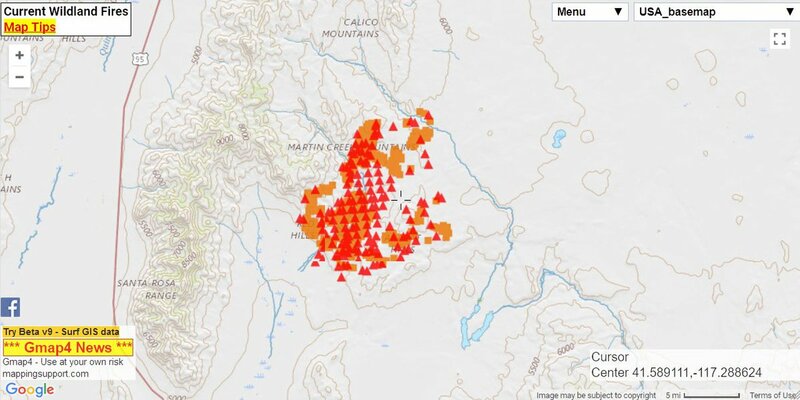 Fire crews have reached a 4% containment status. Structures and sage-grouse habitat is currently threatened. The fire is being managed by an IMT 2 (Rohrer). There are 113 personnel on the fire line along with one crew, seven engines and four helicopters. NWS Elko and NWS Boise(wx reports), BLM, Great Basin Fire Science Exchange, @MappingSupport, Inciweb, NWS IMET Operations and NV Fire cams. The cost-to-date has reached $2,500,000 as of today. Social Media is ablaze and here is a recap of what is being said about this fire from those as eyewitnesses, media reports, fire resources and the Gen Pub.